Burial vaults and grave liners are outer burial containers that enclose a casket or an urn in a grave. Most cemeteries and memorial parks require either a burial vault or a grave liner, in addition to the casket. Burial vaults and grave liners are designed to support the earth around them and provide the necessary protection for the casketed remains. Burial vaults are designed to withstand the weight, pressure, and natural disasters, that could occur. Many that choose cremation also will memorialize their loved one by having the urn buried and placed in a burial vault or grave liner as well. Most want to do what’s best for their loved one in honoring them. Trigard burial vaults provide many options and choices to select from. Most cemeteries require their clients to use burial vaults to keep the ground integrity and to prevent the soil from sinking in and keep the ground level. Lindquist Mortuaries/Cemeteries allows you to choose from different styles and designs of Trigard burial vaults. We carry this top brand because we, along with many other funeral providers, trust it. 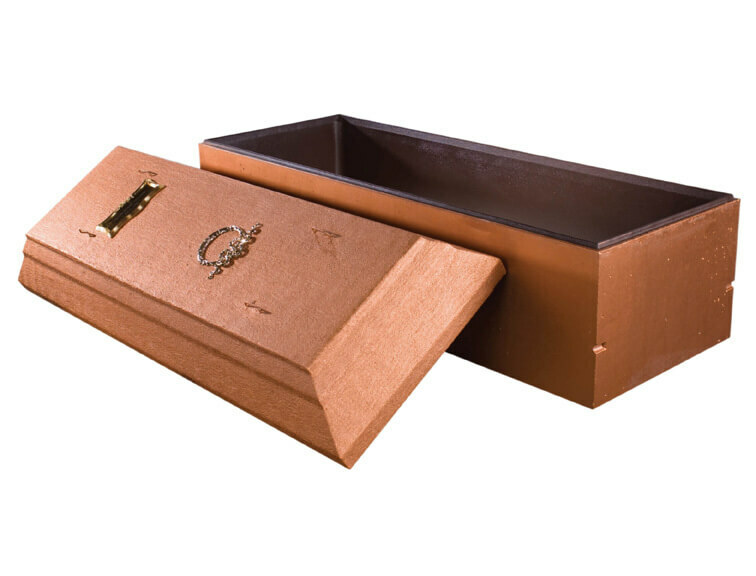 Trigard is a leading provider of high quality burial vaults in the United States. The company believes in the essence of securing the casket in the entire healing process. Made from reinforced concrete and vacuum formed polymer liners, the vaults offer maximum strength and durability. They also feature a tongue and groove design with tape seal for increased level of protection against pressure and the elements. The burial vaults from Trigardare versatile – they may come with personalized nameplates, symbols, emblems, and photographs. We even offer the exclusive Trigard “Memory Tree” burial vault. We will even have them painted with your love one’s favorite colors. Lindquist Mortuaries/Cemeteries is a proud distributor of Trigard burial vaults in Utah. Check our inventory to view your options and contact us if you need more information.